Massey University scientists have been awarded $480,000 to find out whether the vaccination of dairy cattle against the bacterial disease leptospirosis has been fully effective. Preliminary research suggests perhaps not, and the independent not-for-profit Agricultural and Marketing Research and Development Trust and the Sustainable Farming Fund of the Ministry for Primary Industries, will fund three years of further research to verify this and determine what can be done better in future. The funding recipients are scientists from the Farmer Leptospirosis Action Group, who will quantify vaccine programme efficiency in dairy herds across New Zealand by collecting blood and urine samples from animals and questioning farmers about their vaccination practices. They will then develop best practice guidelines for the industry. Group member Professor Cord Heuer, from the University's Institute of Veterinary, Animal and Biomedical Sciences, says vaccination programmes were probably compromised by timing and incorrect on-farm management of vaccination. “By interviewing farms, collecting samples and other information we can find out exactly why [it was not effective],” Professor Heuer says. A significant component of the project will involve making the guidelines and recommendations from the research readily available to farmers, veterinarians and industry stakeholders through the Know Lepto website, a DVD and professional meetings. Professor Heuer says people across the dairy industry will benefit from the research. “We expect people to respond well to the research. There’s already high awareness and use of vaccines and ongoing marketing campaigns. 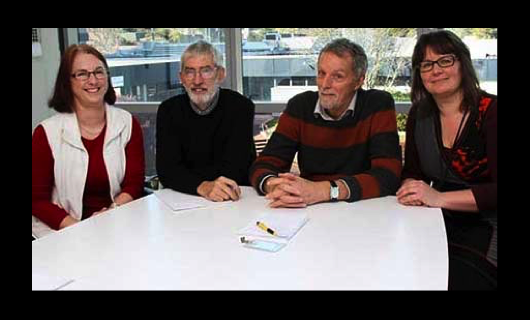 The Leptospirosis Research Group includes world leaders in leptospirosis disease and diagnosis research Dr Jackie Benschop, Dr Julie-Collins-Emerson, Professor Peter Wilson and Professor Heuer. The programme is also supported by Rural Women New Zealand, the New Zealand Veterinary Association, Dairy New Zealand and Federated Farmers.